Why do I have to undertake a Skills Assessment? Every visa applicant who wish to apply for a visa within the Skilled Migration stream must pass a skills assessment. You are only able to lodge your skilled migration visa application after you have successfully passed you skills assessment. What is the difference between Skills Recognition and Skills Assessment? Skills recognition is a formal process evidencing you have developed a specific level of skill and experience which you normally have been developed by attending to a formal course. A skills assessment is the formal process of your skills being recongised for migration purposes. What is a Skills Assessment for migration purposes? A skills assessment for migration purposes is the formal process in Australia to assess your skills for a relevant occupation you wish to nominate. The nomination of your occupation is part of your visa application. Can I apply for more than one Skills Assessments? 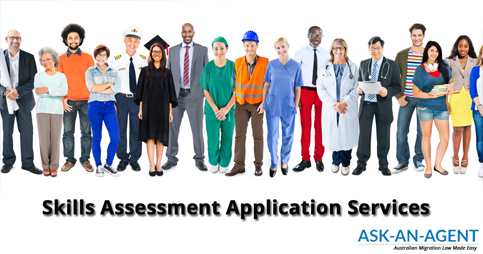 You can apply for numerous skills assessments with different authorities. Who will provide a Skills Assessment? There are numerous skill assessing authorities in Australia. Qualification requirements, work experience and registration obligations vary between different assessing authorities. Use PaySafe for a risk-free guarantee!